It has only been about six days and four posts ago that grandkids appeared in one of my posts. Blame son Jeremy for another grandkid post so soon. 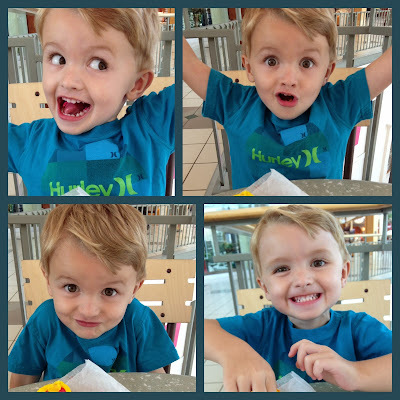 He emailed me these images of our youngest grandchild yesterday. 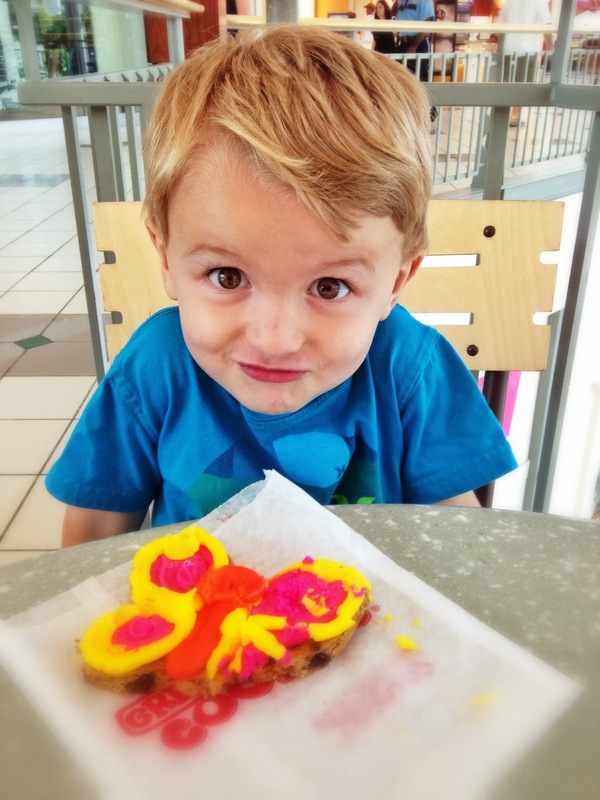 Mom Katie had rewarded their youngest offspring with the thoroughly decorated and super-sized cookie as a break from serious shopping at the mall. Walker exhibits cookie side effects. I am not sure if Walker’s antics are from the sugar rush or his dad’s DNA. if i had the sugar hype dna i would never have been still since i lived on sugar... this is adorable. Oh, he is just so cute! I'm afraid I would be feeding him cookies all the time! Your grandson is such a ham for the camera. Lol. To answer your question, lychees are popular in Hawaii. My dad planted a lychee tree in his yard. David likes lychee alone or with other fruits, but dislikes it mixed with chicken. Beautiful child, and he does like his cookies. An evening at the Mary C.
If it sounds like a pig . . .